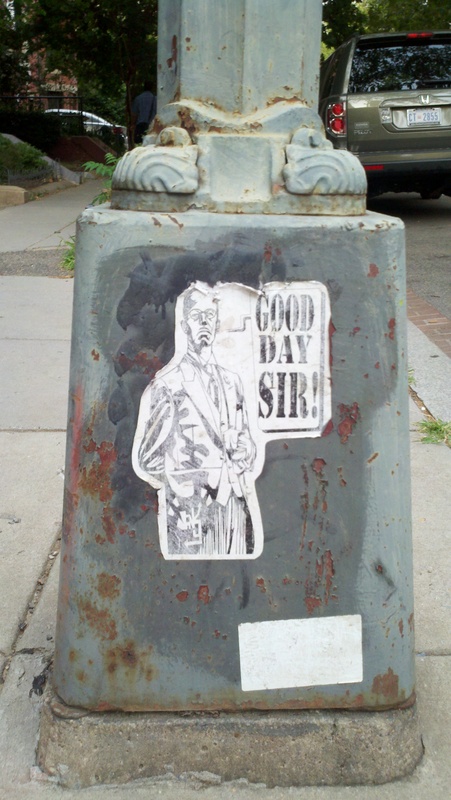 Found close by The Phillips Collection in Dupont, this wheatpaste recalls a dapper-era in DC history, with spectacles and a three-piece suit. What does this salutation mean? Is it a response or a greeting? Do you recognize the man in question? Have you seen this wheatpaste anywhere else around town?